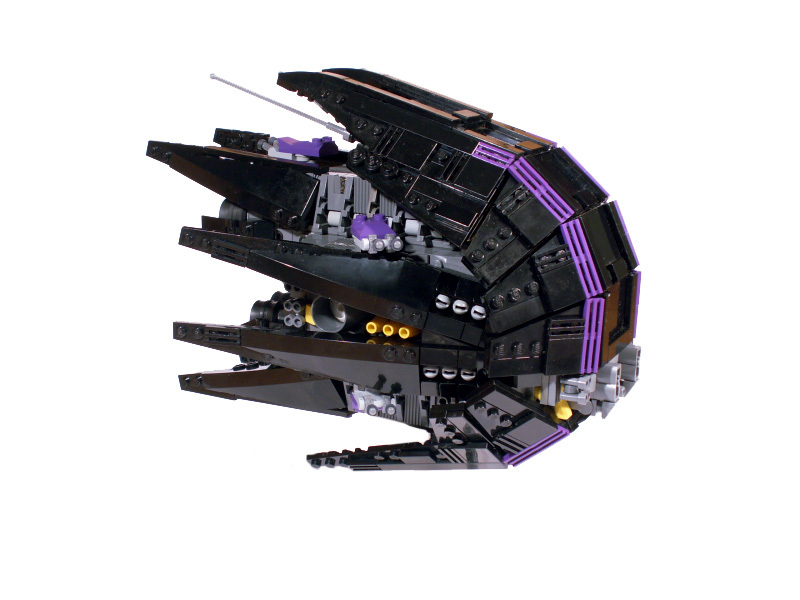 Jarek‘s awesome space pirate battleship features a unique blend of purple and black, resulting in a most spectacular build. As a rare and out-of-production color, purple is a sought-after color for its effective color accenting against neutral tones such as black and gray. Whoops, I forgot that one. Are purple and dark purple discontinued? Or just purple? I did some searching and found something about that. In the quoted material there is no distinction made between the purples but the Lego rep does include ALL shade variations in his explanation. Wow, Catwoman got herself a spaceship! Cool!